Email marketers are facing a tough time with growing emails remaining unopened and unsubscribes. Acquiring new subscribers using old techniques is expensive. Below I have listed 3 techniques that you can use to spread the word of your emails/newsletters beyond the email list that you are sending the emails to. Add social sharing in your emails – Let your loyal email subscribers help you. Add easy social sharing links/buttons to help them tweet, share on Facebook, linked in etc. If they like something in your email they will share it with their followers and friends. This will not only spread your messages but also will provide you with new subscribers. Segment differently – If you are doing segmentation to send emails, it is possible that you might be able grow the list of people in your segment by thinking beyond your current segmentation criteria. For example if you are sending a particular emails to who have listed their title as “Web Analyst”, you can extend the list by looking for subscribers who have not listed themselves as “Web Analyst” but exhibited behavior that looks like “web analysts” e.g. downloaded a whitepaper on tag management. Find Look Alike Using 3rd Party Data – You can go beyond emails and use 3rd parties to find “Look Alikes” of your loyal subscribers/customers. Find you loyal email subscribers/customers based on email opens/clicks/conversion and use their cookies to find more people like them using 3rd party cookie matching solutions such as BlueKai, i-Behavior etc. (Make sure not to cross the privacy lines when using these services). I would love to hear about other techniques that you might be using. Are You Depleting Your Email List? Do Number of Likes and Followers Matter? This is a one of those questions that keep coming up during conferences, the classes I teach at University of Washington, client conversations etc. The default answer by most of the people is along the lines of “Oh they don’t …. It is the quality…. What really matters is the impact on revenue/cost… “ and so on. I do not deny that ultimately the impact of business in terms of revenue/cost is what matters but saying that Likes/Followers don’t matter is flat out wrong. It is equivalent to saying Visits to your site do not matter, potential customers in your store do not matter, subscribers of your email list do not matter etc. Likes/Followers are the foundation that is required to make your social media efforts successful. Without Likes you don’t have anybody to put your messages in front of. Without them you have nobody to amplify your message and help attract others like them. If you are posting random stuff that has nothing to do with your business then you will attract random fans and followers. If you talk about stuff in your particular industry/vertical etc. then you will attract Fans/Follower who care about what you are saying. If you are attracting the right types of Fans/Followers/Like then number of Like/Followers does matter. You want more of them. In all the effort to drives conversions marketers often forget to measure “Unsubscribe” metrics and their impact on the email marketing. 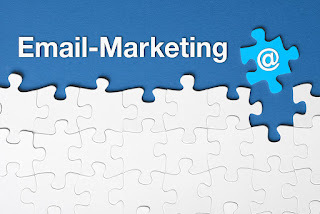 As I mentioned in my post “Number One Email Marketing Mistake”, email marketers, in order to maximize short term conversions, often bombard irrelevant emails in subscribers inbox However this short term mentality results in erosion of long term viability of their email marketing, due to increase in unsubscribes causing depletion of email lists. Getting an unsubscribe is easy, however getting more people to subscribe is very difficult and expensive. Email marketers need to have a long term view and protect the subscribers they have. They need to treat reducing the unsubscribes as critical, if not more, as driving people to subscribe. Total Unsubscribes/Total Email List in your database– This will help you understand what % of emails you can actually email to. Percent Unsubscribes/Email Sent – This will help you figure out if you need to adjust your email frequency. New Unsubscribes/New Subscribes – This ratio if greater than 1 than you are heading for trouble. Lower than 1 indicates that the direction is good though you need other numbers to understand the full impact. In addition you should look at you ability to grow the list and see how soon you will hit the growth plateau. Once you hit the growth plateau, reducing the unsubscribes becomes even more critical.